Did you know it costs businesses 5 times more to acquire new customers than it does to keep current ones? In fact, reducing customer churn can increase profits by 125%. We should all know how important happy customers are. 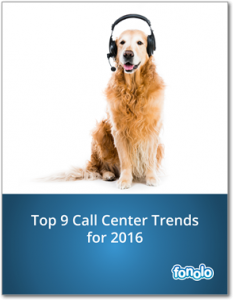 Unfortunately, most call centers fail at providing exceptional service, the type that keeps the customer loyal. Taylor Swift might be the name of a popular pop-country singer, but she’s much more than that, she’s a corporation, and she’s been known to interact with her fans on extremely personal levels. She’s invited hundreds of fans into her own home for special album listening sessions and because of this; it’s unlikely these fans will ever stop being a fan of Taylor. So, how can your business learn from this southern belle? It’s simple. Make your customers feel special; invite them to special events and personalize their experience with your brand. NewVoice found that 25% of customers switch brands because they are tired of being kept on hold. Today, there’s no reason for customers to be kept on the line, and the solution to this is quite simple. Call-backs can help you reduce abandon rates; eliminate hold time, and improve the customer experience. Zendesk reported that, 52% of consumers have made more purchases from a company after having a good customer service experience. Therefore, good customer experiences will breed loyalty. To determine whether or not your customers are loyal it’s important to measure your performance. Trends and markets can change, so it’s vital to keep asking customers about what they like, and how you can improve service. 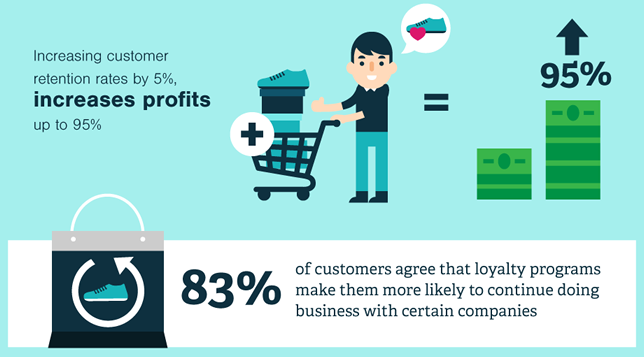 There are a few factors to keep in mind when measuring customer loyalty: retention, advocacy, and repurchasing. Put simply: How many customers are you keeping? How many are recommending you? And how many continue to buy your products? 62% of millennials say that if a brand engages with them on social networks, they are more likely to become a loyal customer. Although not every company’s target market fits this age category, it’s still an important point to consider. If your customer begins a conversation with you through e-mail, you wouldn’t respond to them through social media, would you? So, keep channel preferences in mind at all times to engage and retain the customers you have. 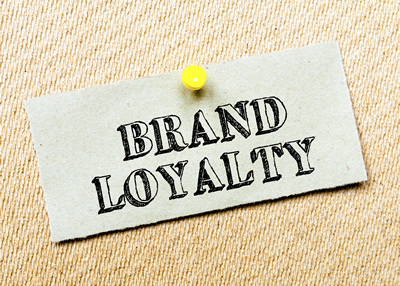 Loyalty programs work – it’s not rocket science, but it’s important to note that not all loyalty programs are created equally. So if you haven’t deployed one or your results are subpar, it might be time to go back to the drawing board. Starbucks Rewards have seen huge success with their mobile order and pay service, with revenue jumping 12% in the first quarter. Today’s generation looks for instant results, which is why loyalty programs like AirMiles or Aeroplane have become less popular with millennials. There are a few things customers are looking for: simplicity, convenience and achievable rewards. Loyalty is the result of respect and trust. Whether a business keeps their promise, or not, it directly reflects what the company stands for. Gallup found that, “Top companies deliver on their brand promise 75% of the time.” The result? These companies have greater levels of customer engagement, which enables them to surpass their competitors in terms of share of wallet, profitability, revenue and relationship growth. The bottom-line: Companies that can consistently deliver on brand promises have a better chance of attracting new customers and driving customer loyalty. The Nike+ platform enables athletes to track their runs, input times and results, and then compare and share with millions of other users. They can also earn points and challenge friends and family. The demand for gamification is real with a growing user base of over 11 million. Chili’s also recently launched its mobile loyalty program using gamification to rack up points to pay for orders and saw 4.2 million customers use it in 6 short months. Gamification is a tried and true method of attaining customer loyalty, and today’s technology makes it easier than ever to deploy. 55% of customers are willing to pay more for better customer experiences. If your customers are willing to pay more, it’s likely they’re loyal to the experience itself, and sure to come back time and time again. For example, Uber has created a customer experience that has yet to be matched by the taxi industry. The convenience, competitive pricing, and different service options diminish any room for competitors; customers know they can’t find this anywhere else and remain loyal to the exclusive experience they get. Everyone loves surprises, and serving up something unexpected is a great way to stimulate customer loyalty. In fact, the power of freebies has been proven to work in the service industry time and time again. When a waiter leaves free mints their tip can increase by up to 21%. But surprises don’t always need to come in the form of free gifts. Something as traditional as a handwritten note can go a long way when it comes to loyalty.